The current trends in video game input technology are not focused on haptic technology. Regardless of how cool the Falcon is, the thing costs $200. PC players have been happily WASD-ing it up for years, and I see little indication of a drastic change to the status quo. On the console side, the Wii's success has inspired both Microsoft and Sony to develop new input devices based on motion control. For at least the next few years, control innovation will be focused on gestural input rather than tactile feedback. Gesture control and visual commands open up many new possibilities for gaming, but they also present dilemmas. As Leigh Alexander discusses in her defense of the "classic" controller, simulating a certain motion by performing a slightly different motion can actually be more distracting than substituting a button as an abstraction. Force feedback must negotiate similar pitfalls. As folks pointed out in the first part of this series, the misuse and overuse of rumble actually serves to detract from the experience. For some, using vibration to try to convey the weight of a mythical beast or the recoil of a gatling gun is more distracting than immersive. However, judicious use of motion control can avoid the immersive fallacy by offering unique experiences that visual and motion control cannot. A successful future for haptic feedback is one of subtlety and experimentation. Novel implementations of force feedback can refresh old concepts while also offering new ways to broaden and grow the gaming population. Even if we do not seek a design revolution, force feedback can easily be utilized to reinvigorate tired conventions. 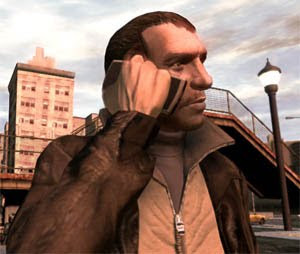 For example: Many games feature characters who use radios or cell phones to communicate in hostile environments. In order to explain why enemies cannot hear ring-tones, most of these games (Bioshock, Metal Gear Solid, Mirror's Edge, etc.) construct excuses based on narrative conceits and the player's suspension of disbelief. By using rudimentary force feedback technology, a game could allow the player to put their communication device on "vibrate" mode. This might make them stealthier, but it would also mean they would be more apt to miss a call. Imagine this implemented in Mirror's Edge: Merc might try calling to alert you of a shortcut around a group of guards, but if your phone is on vibrate, the impact of your jumps or the the recoil of a gun may obscure it, thereby negating your opportunity for a shortcut. The trade off would be to leave the ringer on at the risk of attracting unwanted attention from the authorities. Of course, subtle force feedback can also be used in more radical ways. Games are primarily a visual medium, but what would happen if a game endeavored to limit the player's vision? The result might be something like Blind Braver, an experimental game that is played primarily through sound. The Wired article is quick to point out that the game's under-utilization of vibration as a means of conveying information to the player. This is unfortunate, as carefully designed force feedback could serve to be as important sound within the game. 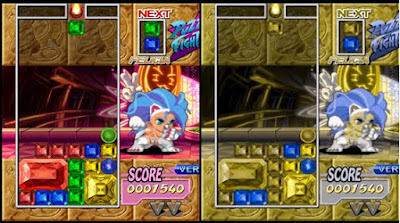 A player could run up against a wall and use their joystick-controlled hand to "feel" the texture of the wall. If you knew the level's exit was down a marble corridor, a lack of vibration would signal that you were on the right path. Or perhaps you stumble across a coin in the dark: In order to find out what kind it is, you can use tactile feed back to examine the side for ridges. Such an action helps blind people differentiate between coins in the real world, which leads into the most important benefit of force feedback: accessibility. Haptic technology can serve as more than a garnish to graphics and sound. Simple vibrations are easily taken for granted by those of us who are lucky enough to have unhampered vision and hearing. For gamers with disabilities, the immersive capabilities of force feedback hold a greater weight. It is easy to conceive of a typical "match-three" style game in which the game pieces are differentiated solely by color. However, the simple act of making the controller vibrate when a green piece is selected versus a blue piece would significantly help a color blind gamer. For those with hearing impairments, the vibrations that accompany the impact of enemy fire in a first-person shooter may mean the difference between survival and a re-spawn. I fully intend to be blasting Covenant well into my autumn years, so the issue of accessibility is a particularly compelling reason to trumpet the praises of force feedback. Haptic technology might not be at the forefront of user interface innovation, but it remains a uniquely versatile method for fostering immersion. In terms of vibration, less may be more, but some is always preferable to none. We do not need to be shaken off our couches, but the physical connection that force feedback offers will continue to play a large, albeit invisible, role in connecting us to the games we enjoy.